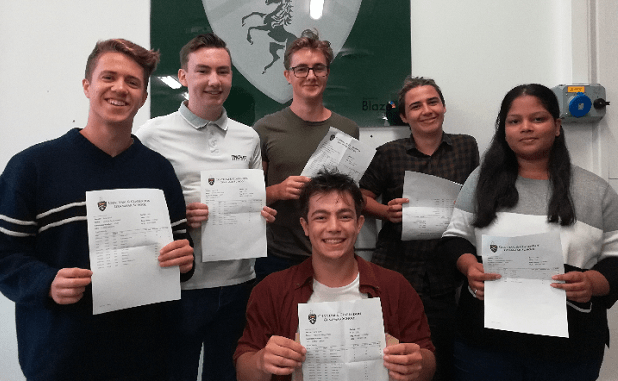 An overall A Level pass rate of 97% with a quarter of passes at A* or A grade are being celebrated by students and staff at Chatham & Clarendon Grammar School in Ramsgate. Head teacher Debra Liddicoat said: “This year’s results at Chatham & Clarendon Grammar School showed just how well our students have worked. 24 of them have scored at least the equivalent of A grades in 3 subjects or more. 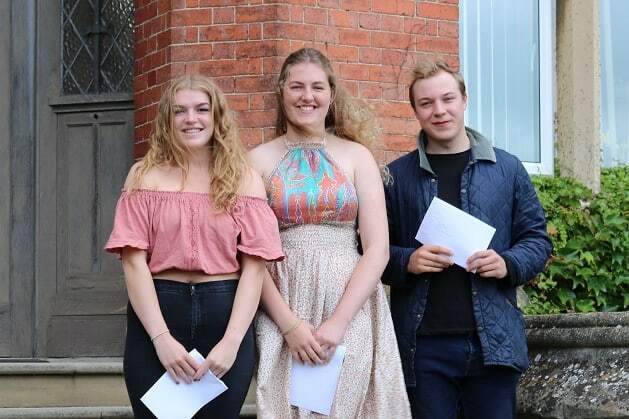 Consequently, all of our students who gained offers from Oxford or Cambridge university have been awarded their places. “Overall, a vast majority of our students have gained their place at their first choice university – which maintains the school’s premier position for places at top higher education establishments around the world. 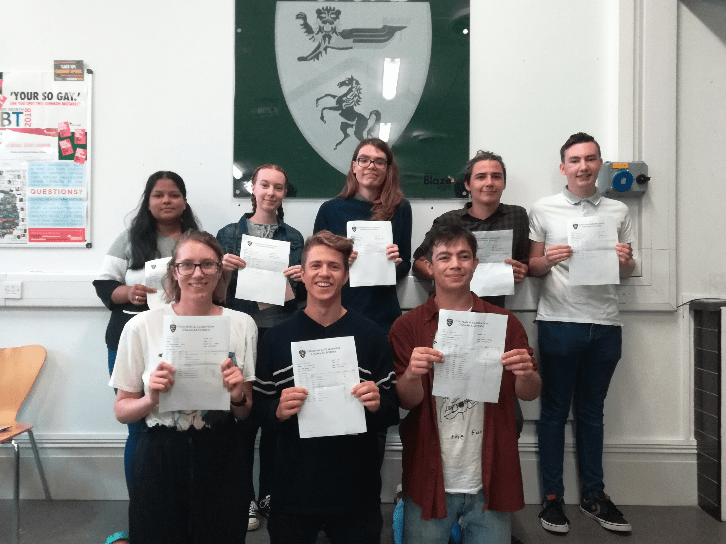 St Lawrence College in Ramsgate celebrated another year of excellent university success, despite the pressures of tougher A Level courses. Amongst the top performers were local girls Kathryn Spencer (A*A*A) and Amilia (AAB), whilst amongst the local boys, Alex achieved an A* in Economics and A grades in three other subjects to secure his place studying Economics at Warwick University, and Head Boy Atharva achieved A* grades in both Maths and Further Maths, plus an A in Physics, and will be studying Astrophysics at UCL. The Royal Harbour Academy International Baccalaureate results, received last month, have been confirmed. One hundred per cent of students who sat the career related certificate passed the qualification and 100% of students passed their BTEC qualifications at either diploma or extended diploma level. 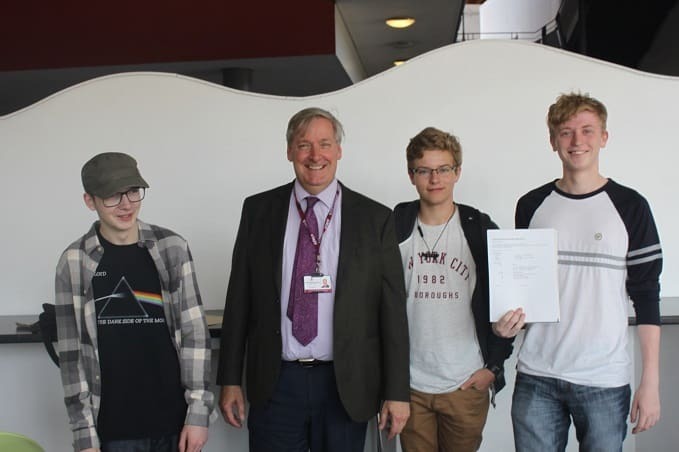 There were some excellent individual performances: Jaimie Bligh passed the IBCP gaining D*D*D* in BTEC Level 3 Extended Diploma in Health and Social Care, a 5 in both English Literature and History and a B grade in his Reflective Project. Jaimie is going onto study Psychology at Southampton. 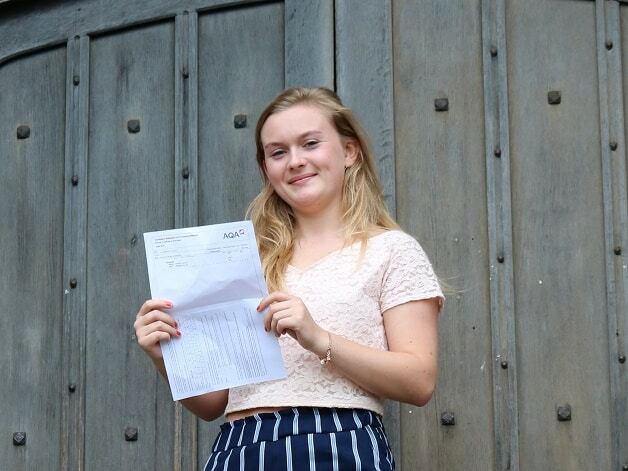 St George’s Church of England Foundation School is celebrating a second year of strong Post-16 results. The school is delighted with the continued improvement in both Advanced Level and Vocational Level outcomes that reflect the hard work and dedication of both pupils and staff. Top performing pupils were Emily Turner and Mahmudur Rahman, who will be joining many others from the school on their journey to University.